Lengard is a secret government facility for extraordinary people,” they told me. I believed them. That was my mistake. There isn’t anyone else in the world like me. I’m different. I’m an anomaly. I’m a monster. For two years, six months, fourteen days, eleven hours and sixteen minutes, Subject Six-Eight-Four — ‘Jane Doe’ — has been locked away and experimented on, without uttering a single word. As Jane’s resolve begins to crack under the influence of her new — and unexpectedly kind — evaluator, she uncovers the truth about Lengard’s mysterious ‘program’, discovering that her own secret is at the heart of a sinister plot … and one wrong move, one wrong word, could change the world. 1.) So this is a standard question, but one I always enjoy reading the answer. How did you get the idea for Whisper? A few things came together all at once to inspire the creation of Whisper. 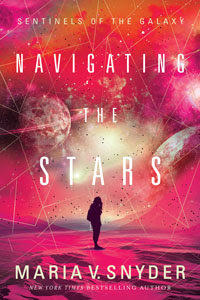 Mostly, it was that I was awaiting the edits for the second book in my other YA fantasy series, and so I felt like I shouldn’t start drafting the third book until I learned how much needed to be changed. But I also desperately wanted to be writing something, so I considered what kind of message I wanted to be sending at the time. It came down to me being in a bit of a dark place where I felt like I was trapped in my own mind, and almost like I was screaming but no one could hear me. So the concept of Whisper came from that, in a way; the desire to have a voice — and to be heard, while also bringing across the importance of words and just how powerful they can be. 2) Jane Doe is an interesting character. Did she pop into your head fully formed or did she develop as you wrote the book? A bit of both. I like to trust my characters to write themselves onto the page, so to speak. The opening line — “They call me Jane Doe” — came to me really loud and clear, and from that, Jane’s character started to develop and grow as the mysteries surrounding her began to unravel. 3.) Why fantasy? Is there something special about fantasy that draws you to write in the field? I just love the fantasy genre — I love writing it and I love reading it, much of which is because of the escapism it affords. There’s nothing more wonderful than stepping into another world and going on adventures with characters you adore! 4.) The magic in the book is rather unique. Can you explain how it works? 5.) How did you become a writer? Is this what you saw yourself growing up to be? Or did it take you by surprise? Actually, I never wanted to be a writer. (I didn’t even particularly enjoy English class in school — shhhh!) [Maria: me, too! I hated writing in school! Your secret is safe with me ;)] But I was always an avid reader, and after I finished university I was in a terrible reading slump, so I decided to try and write the book I wanted to read. My debut YA fantasy novel, Akarnae, was a result of that decision, which led me to where I am today. 6.) Do you have a writing routine? Talk process for a moment, are you a pantser or plotter or plotser (a hybrid of the two!). How do the words get on the page? For the most part, I’m a pantser. I like to be surprised as things happen, almost like I’m reading it rather than writing it, though I do like to have a few points that I try to work towards. However, in saying that, I had to very carefully plot out the entire sequel to Whisper because there are just so many twists and turns, and I had to make sure everything was going to come together (and make sense), so in that case, I was 100% a plotter. My preference is definitely to be a pantser, though, or some combination of them both. 7.) Office? Closet? Corner of the living room? Do you have a set place to write? A favorite? I like to write in my room, where I’m most comfortable. Preference is to have dead silence and no distractions, but I’ve had to learn how to write anywhere, be it in airports or on airplanes, in cars, or really any place that can help me meet my deadlines! 8.) 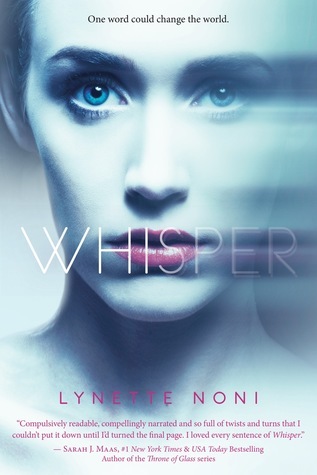 Whisper is your American debut. 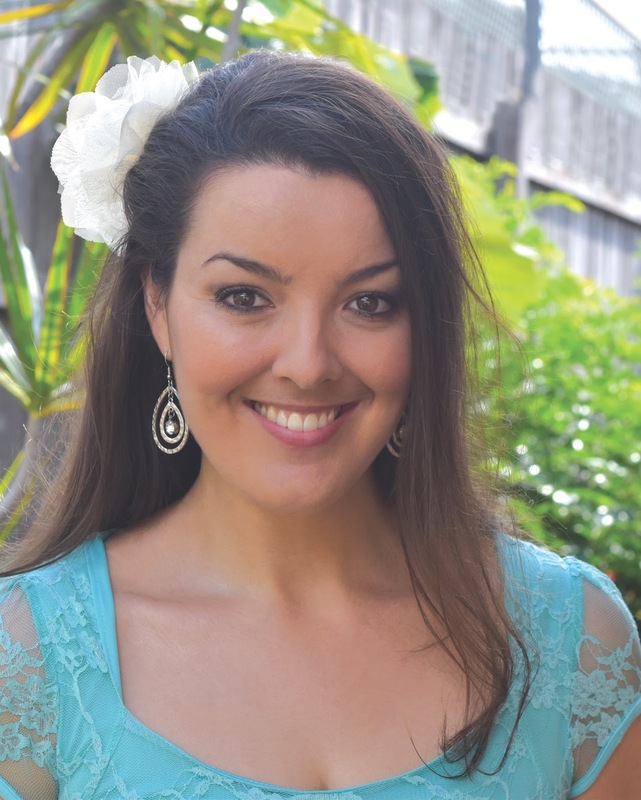 Have you experienced a difference between publishing in Australia compared to the US? Probably the biggest thing is that I already had an established fan base in Australia, which made things easier sales- and hype-wise upon its release, whereas in the US, it was like starting from scratch all over again. So that was a bit of a challenge, but also exciting. It’s also weird (in a good way) when people send me photos of Whisper in like Barnes and Noble, etc. because it just makes it feel all the more real (and surreal), knowing it’s available on “the other side of the world”. 9.) What else do you enjoy doing besides writing? Interests? Hobbies? I live near the beach on the Sunshine Coast, so it’s always nice to go and spend time by the water. I also enjoy the typical things — spending time with my friends and family, baking, watching movies, and (of course) reading! 10.) What are you writing now? What's coming out next? I’ve just finished writing two books back-to-back within the space of about four months (eeek!) — one was the sequel to Whisper (hopefully more news soon on the title and release date), and the other was something I can’t talk about yet but it’s super exciting. I’ve now just jumped straight into the edits for the final book in my six-book YA fantasy series that started all this, so things are definitely busy, busy, busy. This is a three-book-release year for me, with my next book, We Three Heroes, releasing on August 29th, and next year is shaping up to be another three books again, so to be honest, I’m very much looking forward to having a bit of a holiday soon! That said, I’m so looking forward to everything that’s coming next, and starting on a completely new series soon! This book sounds really interesting! If I don't win, I've added it to my list of books to buy when I have room in my budget, so I'll be reading it no matter what! As for the covers, I actually like the Australian cover better. Something about the starkness of the cover just grabs at me. It makes me feel scared and sad, but in a good way, if you know what I mean. Lynette, have you ever taken a few days and just didn't speak a word to anyone? If yes, I wonder how that impacted your writing for this book. The reason I ask is that I had what were essentially bruised vocal cords from a nasty laryngospasm a few years back, and my doctor advised me to limit speaking to allow my vocal cords to heal. I had a couple of signs that explained that I had laryngitis (earlier to explain) and that I wasn't contagious, but other than that, I just watched people. It was especially interesting since my "no talking" time happened while I was at a Science Fiction/Fantasy Convention, and watching people interact, and seeing how much more I noticed about my surroundings and people when I couldn't answer back was very interesting. I have a second and easier question: Do you have cats, dogs, or just some weird Australian "Nope Spiders" as pets? To answer your first question, no, I've never (deliberately) not spoken for a long length of time! As for the second, no pets at the moment, though I do live near a rainforest and we get some HIDEOUSLY terrifying huntsman spiders (the size of my hand! Ugh!!). I am so excited to learn about a new fantasy author. Lynette, do you have any advice for young authors? I teach third grade, and I'm always looking for ways to inspire them. Thanks! I like the AU cover better! The composition with the door/doorways is gorgeous. I like the AUS cover better. It just drew me in. My question, do you always have a particular idea of what you would like your cover to look like? It depends on the book! 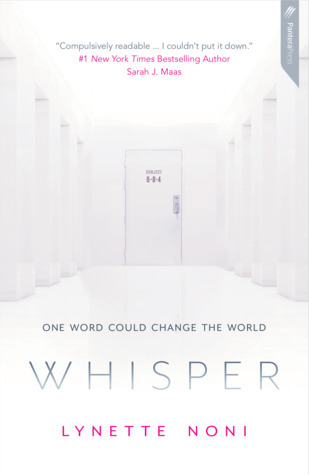 With Whisper I had no idea, so a lot of that was trusting the design geniuses to work their magic, and then just back-and-forth with my editor until it was perfect! Are there any moments where you just cringe wishing you could go back and change something in Whisper? I think every author has those moments with their books! Creatives are always their own worst critics! Putting this one on my to read list. I like the US cover best. I have a totally off the wall question for you. If you could be any animal in the universe, what would you be and why? Great story idea. Who is your favorite Author? No favourite author, but I was probably most inspired from a young age by J.K. Rowling. My personal favorite cover is the Au version ❤️. It gives a sense of mystery and now I'm dying to find out what's beyond the door! My question for Lynette is actually about TMC, did you have the idea of Medora and the characters (or something similar) in your head for awhile before you wrote the book, or was it something that you thought of when you knew you wanted to write a book? Also, quick bonus question, have you ever written a character that reflects someone you know in real life or used particular people as inspiration for your characters? I had no idea about TMC when I was writing it, not before and not even during -- it just kind of flowed as I was writing (but I never intended anyone else to ever read it, so there was no pressure there at the time!). And no, I'm careful to keep my characters as separate from real life people as possible! I love the set out of the Australian book cover, it just looks gorgeous. My question for Lynette is: When you said Jane checked herself in on the other side of the country, did you have a particular place in mind?? I fell in love with ‘The Medora Chronicles’ (TMC) when I started reading it, which was a huge surprise as I wasn’t expecting it when I’d first purchased the books. I loved the ‘Study’ series and I’ve re read it hundreads of time. I found the TMC the same, and it equals with Maria’s book as being my favourite ever series. It’s a world you can re read and loose yourself in and each time pick up on new things. My question for Lynette is: there’s so much love for TMC series and so many fans are excited and sad that the series is nearly coming to an end. Would you ever follow in Maria’s suit and write more books for TMC or books set in the same world? You finished writing TMC several years ago, do you ever find yourself being drawn back to that world and finding stories to be told? I would love to venture back into the world of TMC! I have a few ideas that I'm playing around with, so hopefully more news on that soon! That’s great news! Thanks for answering my question Lynette. I'm so glad you've enjoyed my books! And YAY on being tied with Lynette on being your favorite - I'm in very good company! I have read Lynette Noni's medoran chronicles and loved them. I cannot wait for the last book of the series. I would love to read Whisper. Lynette , I love medoran chronicles so much and I am sad that there is only two books left. Would you continue another series about alex after this one? Probably not about Alex since her story comes to an end with Vardaesia (coming Feb), but I'm not ready to leave the world of TMC yet, so maybe I'll see about writing a spin-off series down the track! I like the AU cover better! As with everyone else, I was introduced to Lynette Noni's writing through her Medoran chronicles. I am really glad that I picked up Akarane all those years ago. Can't wait for Graevale. Lol, oh wow. Well, since Thorin can be a bit... temperamental... but his group of dwarves have so much personality... Hmm... I think Jordan would probably have a grand old time with them! He'd fit right in with some of their more antic-y antics, but also be able to hold his own in the battles. I like the cover with the doors, but that's just because I don't necessarily like a cover to show a character's face and influence what I envision the character to look like according to an author's description in the novel. But the best cover art usually tries to reflect the character's description. I'd like to ask Lynette who are some of her favorite AU authors or books? There are so many wonderful Aus authors! Some of my favourites are Jay Kristoff and Amie Kaufman (their Illuminae series is amazing, but their separate work is great, too! ), Juliet Marillier, Trudi Canavan... so many others! I also really enjoyed Jessica Townsend's 'Nevermoor' -- it's more children's/middle grade, but very similar to HP and Narnia and so much fun! I love your books, just wow, I read Graevale last week as I finally found the time and what an emotional rollercoaster! It was brilliant, that ending still has me so emotional. I could not put it down from start to finish. Thank you so much for sharing your stories with us! My question for you: how does it feel to have almost finished your first series, The Medoran Chronicles? I know I will be feeling emotional to be leaving these characters and their amazing world behind! Thanks so much! And to answer, it's bittersweet -- I've just finished the structural edits of Vardaesia, so knowing how everything comes together is such an amazing feeling, but also sad knowing that it's the final book in Alex's journey. That said, I'm not ready to leave the world itself behind yet, so hopefully there will be more adventures ahead for Medora!